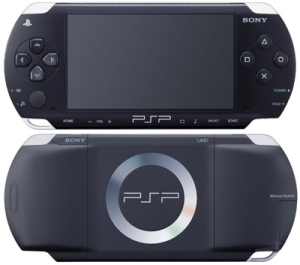 According to reliable source, Imagination Technologies has signed an agreement with a famous consumer electronics giant, believed to be Sony to supply its graphics processor for the next generation PSP (PlayStation Portable), namely PSP2. Also, the source specifically pointed out that the core could be SGX55x, which is the new member in graphics core families from Imagination Technologies. Imagination Technologies is famous for its PowerVR graphics processor that has been widely deployed as graphics core in some of the product chipsets to handle intensive graphics processing as well as hardware acceleration functionality. One of the examples is the US15W SCH chipset that is used to pair with famous Intel Atom processor targeted for MID (Mobile Internet device), UMPC (Ultra Mobile PC) as well as embedded markets. Similarly to other PowerVR graphics core, SGX55x is featured with TBDRs (Tile Based Deferred Renderers) with screen tiling and on chip rendering while able to scale up its usability to supports Direct 3D 9/10 and Open GL ES 2.0. However, Sony has denied and refused to comment further, that leaves it to be another rumor pending confirmation.